Candidates for contested seats will answer questions from the public. Town Meeting candidates will introduce themselves. 7:00-7:30 pm: Meet and Greet. 7:30 pm: Contested Candidates’ Forum, followed by Town Meeting candidate introductions. The event may not be held in the event of no or limited contested races. A Voters’ Guide for town offices is printed in the Needham Times. 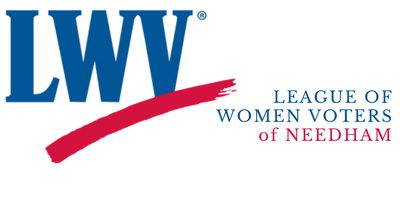 An expanded Voters’ Guide including responses from Town Meeting candidates is published on the LWV-Needham website. When you pick up your nomination papers at Town Hall, you will receive information on campaign financing and reporting, administered through the Town Clerk’s Office. Watch the first night of 2017 Annual Town Meeting. Other nights are available at the Needham Channel. Watch past meetings of the Board of Selectmen, School Committee, and special meetings of other elected boards and committees at the Needham Channel.